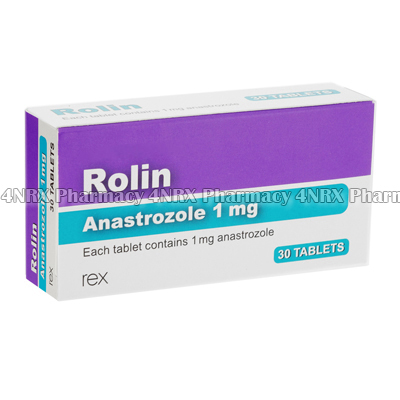 What is Rolin (Anastrozole) used for? 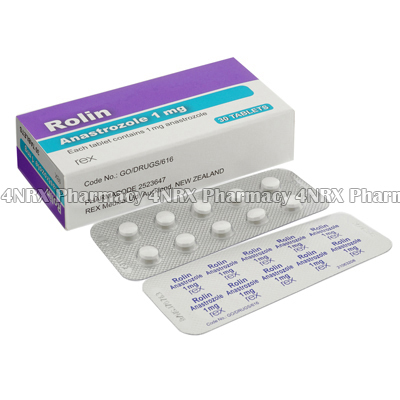 Rolin (Anastrozole) is an oral medication prescribed to treat postmenopausal women suffering from breast tumors. It is a non-steroidal aromatase inhibitor that operates by reducing levels of estrogen which is associated with the growth of tumors. Your physician may also prescribe it to treat other unlisted conditions. How should I use Rolin (Anastrozole) ? Rolin (Anastrozole) should always be used according to your physician's instructions to ensure the safest and most effective results. One tablet is typically taken once daily, but your particular instructions may differ depending on the severity of your symptoms and your current health condition. Swallow the tablets whole and unaltered along with a large glass of water. They may be taken with or without food, but a meal or snack is recommended if you experience nausea. Never crush, split, or chew the tablets before use to avoid unintentionally destroying or altering the effects of their contents. Ask your pharmacist or physician any questions you have about the medication prior to use to ensure the correct usage. What are the side effects of Rolin (Anastrozole) ? More serious side effects that may need emergency medical attention are swollen glands, osteoporosis, sudden numbness on one side of the body, severe nausea, swelling in the hands or feet, severe skin rashes, darkened urine, discolored stools, or jaundice. Immediately inform your physician about any conditions that are intense or worrying to you to make sure the correct adjustments are made to your dosage to prevent further complications from occurring. Rolin (Anastrozole) should not be used to treat patients who are men, pre-menopausal women, pregnant, breastfeeding, lactose intolerant, or have severely decreased liver or kidney function. These conditions may require reduced dosages to prevent further complications from occurring. Strictly follow all instructions provided to you by your physician or pharmacist while using Rolin (Anastrozole) . Optimum and safe dosage can differ based on the patient and the condition being treated.